Have you ever travelled with cowgirl/cowboy boots? To a minimalist like me it might seem frivolous at first glance. 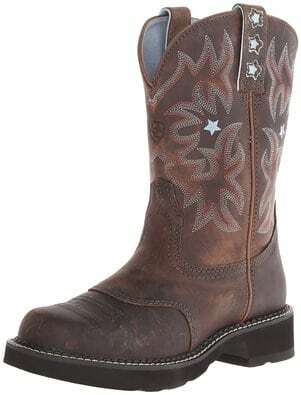 But try on a boot like Ariat’s Probaby and you immediately rethink it. They’re super comfy and oh so cute. Look at those stars! 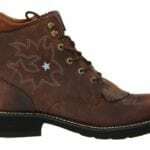 Comfortable Cowgirl Boots with stars and I’m in. These boots slip on and off with ease, so go ahead and wear them at the airport. They’re cute with dresses and skirts as well as skinny jeans, so wear them for fashion. And, of course, if you are going to be horseback riding, they’re perfect. I’ve ridden in all sorts of footwear and even barefoot (a no-no), but when you’re wearing cowgirl boots you feel different. They’re sassy and spunky and put you in a western mood as soon as you pull them on. 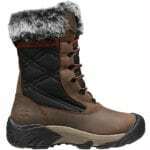 There’s a lot to be said for dressing the part and I think if you are headed to Texas or Calgary, for instance, it makes it more fun and festive to wear boots. 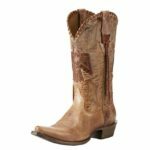 With these Ariats, you don’t feel like you’re being excessive, they’re useful and fit my rule of everything in my bag needing to be useful on multiple levels. Another thing I like about these is the shaft. It’s ideal for me at 5’5 and come up just high enough at a few inches below my knees. I think they’re pretty true to size, I’m anywhere from 8.5-9.5 and the 9’s are a great fit for me. Find these awesome boots HERE.